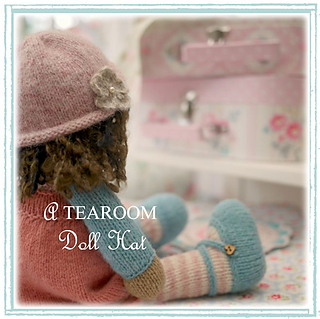 Knitting Pattern for a custom - made TEAROOM Doll Hat to fit a 14” TEAROOM Doll. 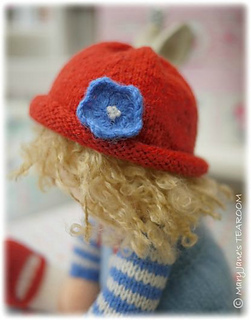 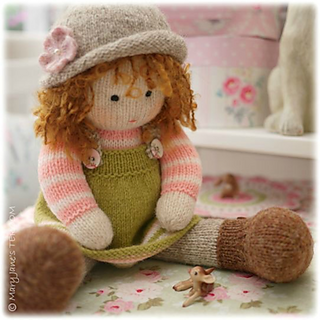 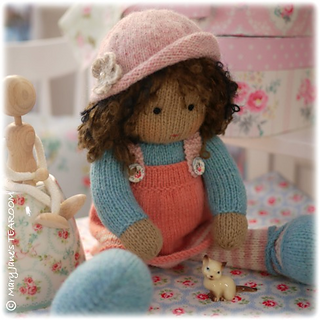 Pattern includes instructions to make a doll hat ‘in the round’ on double - pointed needles or ‘flat and seamed’ on 2 straight knitting needles and includes variations. 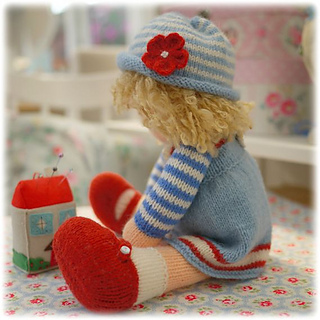 Basic knitting skills are required for hat and knitted flower plus basic knowledge of working stripes for stripy hat. 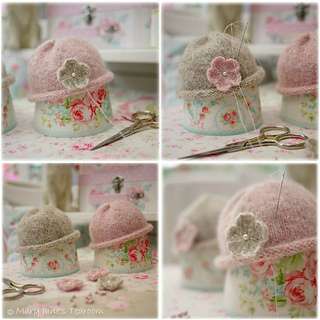 There are examples in the pattern of hats and flowers made in different shades and if you use the Jamieson’s of Shetland DK there are over 220 shades available to choose your own.